Milo and Julian, better known as “The Sposato Brothers” from California! 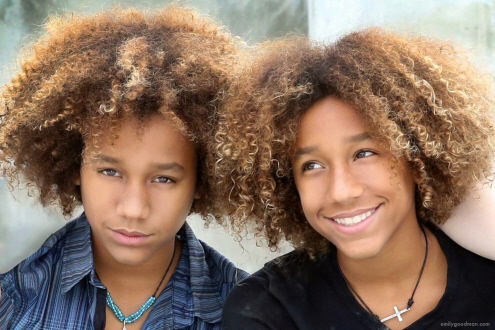 Two exceptional young twin brothers who play musical instruments and do amazing vocal performances. 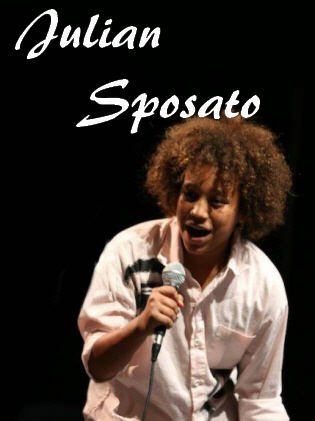 Sposato Brothers, Amazing Entertainers, Humanitarians, and Performers! Thirteen year old twins Milo and Julian, aka the Sposato Brothers, have been on a very interesting journey lately. Integrating their music careers with community service has always been at the top of their list. Their performances for the ‘Walk to Defeat ALS’, ‘Kirpatrick House for Youth Offenders’, ‘Thanksgiving,For the Homeless’, ‘Boys and Girls Club of America’, and countless school and church benefits have helped them realize the connection between the music they create and the world they live in. Their ability to reach people through music and bring joy, hope and happiness to others who are in need has been a focal point of their lives and music career. Nothing however, could have prepared them for what happened last November! 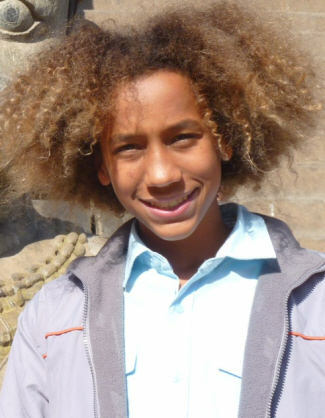 “My dad came to us one day, and told us he had set up a tour.. and was taking us out of school… for TWO MONTHS!”, said Milo. “We had already done a small tour in Europe that summer, so we were kind of surprised”, said Julian. “Plus, leaving school for two months? WOW!” But when they discovered where they were going and what they were about to do, they really hit the floor. 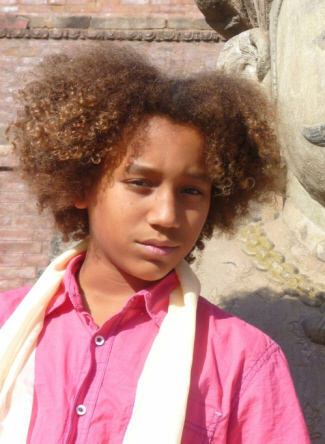 “He told us we were going to Nepal and India, and we were going to work with orphanages and schools, teaching, donating money, donating instruments and putting on benefit concerts to raise funds for school supplies and clothing. We were stunned!”, relates Julian. 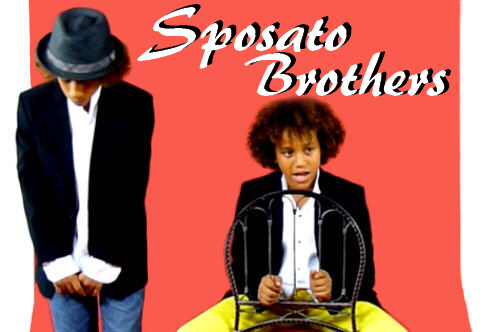 Twin brothers, Milo and Julian, better known as “The Sposato Brothers”, are more than just vocal performers but true musicians with exceptional talent and a wealth of personality! Both boys play brass instruments; write their own music, complement each other with exceptional vocal harmonies, in addition to creating eye popping music videos. The Sposato Brothers have been humorously dubbed by some as “Hurricane and Tornado”, and by some others, “Thing 1 and Thing 2”. 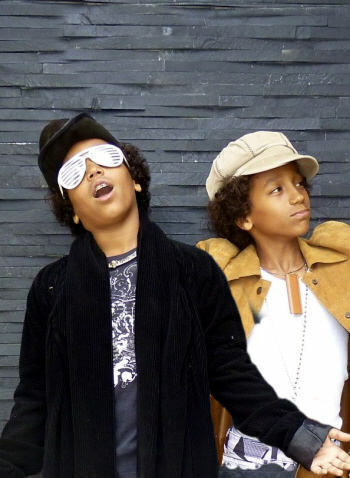 Milo and Julian are the products of an Italian-American composer/songwriter father, and an African-American fashion designer mother. Sometimes artists have trouble making small decisions, and when the twin boys arrived, mother and father could not seem to agree on their names. Father wanted “Ennio” after the great Italian composer Ennio Morricone, and mother wanted Skyler.. a name, for some reason, father reviled. Try as they would the impasse dragged on and on, and a month after the boys’ birth a frustrated hospital attendant finally mailed off the birth certificates. “Male Twin 1st” and “Male Twin 2nd” were officially registered, born October 5th 2000 in the city of Glendale, County of L.A. Although it took approximately 6 months to rectify, their names were eventually changed to Milo Enoch Sposato and Julian Jackson Sposato. The family was delighted!